Never play tic-tac-toe the same again! This tic-tac-toe game features unique poly resin skull playing pieces that are black and bone colored. 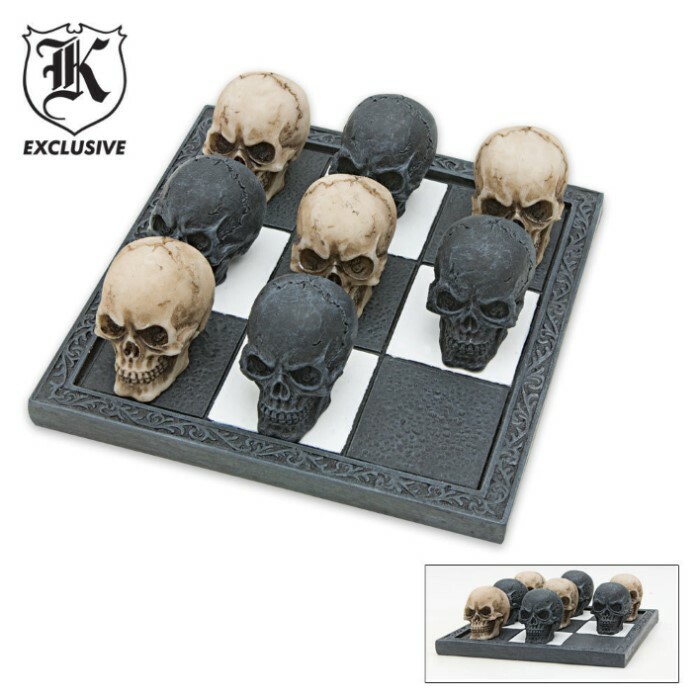 Each set contains a board plus 8 skull playing pieces, 4 for each side. 4 in. x 4 in. board, 1 in. playing pieces.